Africa had seemed like a dream come true, at least wherever one lived. That was the Africa we lived in. Africa was a dream. We had all been independent, if such a state did exist anywhere but on paper, for half a century. There had been dreams, there had been Marxists, there had been coups, there had been one Sankara, one Nkrumah, and at least one Mandela. There had been a heartbeat once. There had been a debate about miniskirts, about long hair and other dirty hippy habits. There had been coups, there had been assassinations. There had been World Bank and the IMF, and a decade of genocide and economic sabotage. There had been term limits and multipartyism, and chaos. There had been blood, there had been wars.Stories of pain, massacre, genocide, and on-camera cannibalism plagued the news cycles. People got distracted with everything, as long as it paraded itself as something. Around Africa, there were glimpses of hope, but mostly despair. Africa had become a desperate divorcee who, upon realizing she didn’t have the guts to make it on her own, ended up seeking more husbands. A polyamorous relationship, one that allowed her to cavort with all the rich men, and some of the mildly rich ones. Everywhere the new roads built by East Asian Tigers went, the blood of innocents, and misguided fighters, had once flowed. In some places, it still did. Everywhere the new railways and the new ports went, old slavers had once dragged and whipped millions of slaves down to the coastline. Where their fates had been sold with them in the slave markets, and their destinies bound with them as they planked on the wet ship floor. Their stories had disappeared, most washed away by the tides of human depravity and greed. Now, men and women took their children, and themselves, to small rickety ships and attempted to escape Africa. Africa was a dream, but they wanted to something more. But the waves and the depravity of their coyotes, the brutality and selfishness of their audience, and the meaninglessness of life, sank them to the depths of the Mediterranean. There had been an Africa built on all these, one that was still trying to find herself. One that stood tall on Mount Kilimanjaro, or road a boat on the Nile, and wondered whether Africa should have been a country. Whether a short century had moved us from a state of what we now saw as barbarity, to a new state of barbarity with the bullet. Our grandfathers had had their balls crushed as they tried to fight for an abstract concept of independence. Our fathers had had their balls crushed as they tried to fight for a foothold in the brutal politics of African rule. Our mothers and their mothers had been beaten, raped, and pushed to the periphery of society. Our sisters had learned to fight for something, but then the system that had brought us here was still healthy and thriving. For our sisters, a child was still held as the high marker for femininity. No matter what one achieved in their life, it did not seem to matter if they did not sire and sire young. Our brothers had woken up one day and realized that they had been forgotten. That there was no masculinity, no maleness, only a concept. That without a gun in hand or a paycheck at the end of the month, a man was not a man. So we stood there, at the Zebra crossing, wondering whether to make a dash for it before the light turned red. Everyone who wasn’t your man was a strongman. Seeking third terms was in style, and most lost out in winning the support of the people who mattered. Those who did, like Kagame of Rwanda, were let off with a smile and a gift. Their countries needed them, the consensus went because they were too big to be limited by single clauses in constitutions made by men, for men. Right across the border, Nkurunziza woke up one morning to realize he had missed a memo in how to win outside support and ended up shooting himself in the foot, frequently. Most got away with it, with a bit of blood and a crushed pair of testicles and breasts here and there. Subjugation, and campaigns. Then there was Bashir, the man carrying the pains and claims of an entire genocide. He brought a chain around his leg, one that meant that his plane had to carry extra fuel in case he needed to turn back from a journey. Lest he finds himself shackled, and dragged to a small cold town in Europe. To face justice. In unison, his people bowed their heads and voted him in again, his neighbors patted him on the back and pitied him, and everyone tried to avoid hosting him. He was the leper in the group, where Kenya’s Kenyatta had gotten off easy, he was the sickly one no one really wanted to visit their home. Because Big Brother, with his many stripes and stars, would strongly, rather strongly, support his arrest and extradition to the aforementioned small town. There had once been Gaddafi, but then there were air strikes. A country chained by one man for four decades was offered hope, but hope became blood, and blood became Al Qaeda, and ISIS. There had been Tahrir in the mighty ancient country of Egypt. The Nile had flowed, as usual, the day Mubarak left and Egypt lit up in glee. Then another strongman had wiggled himself in, and Egypt had ended up where it had been in the first place. That day, like any other, the Nile had flowed. Africa was a dream come true, a land where nothing was sacred. Everyone who could, ate. Everyone who couldn’t, was eaten. We grew our own terrorists, tempting young men with promises of money and a dream. We then formed platoons and hunted them down, and displayed their bloodied bodies on television for the world to see. We patted our own backs, and each other, and then visited the widows of the dead men in the dead of the night. Bayonets bred compliance, and we got away with it. Old men planned fights for young men. Young men planned coups against old men. We looted and massacred, and pillaged, and rummaged, and raped. We stood before cameras and told blatant lies. We told non-Africans what they wanted to hear, so they could give us money to treat malaria, and stupidity, and the lack of toilets, and mosquitoes, and the lack of water tanks, and proper hygiene. We had done some of these, and more, and then paid ourselves off really well. We took the debt you are now paying to build our present so your present would be excellent, except for the little matter of debt. We went to church every Sunday, and the mosque every Friday. When we weren’t there we stole and lied, and killed as usual. We prayed for forgiveness and tithed our bribes. We claimed to be African and hanged homosexuals. We trashed atheists and called them unAfrican pagans. We killed and skinned albino children, and chased old women and burned them with old car tires. We burned outsiders for taking our business, and chased everyone else away so we could have equitable distribution. Africa was a playground, the place where dreams were made. The last frontier for everything you could think of. There was enough Africa for everyone, we often said. Enough sand, and soil, and sea, and cabinet positions, and mosquitos, and cholera, and viruses, and Ebola, and murder, for everyone. If you wanted to hunt an elephant, Africa had enough. If it was rhino or a buffalo, or a lion, Africa was the land of the safari after all. 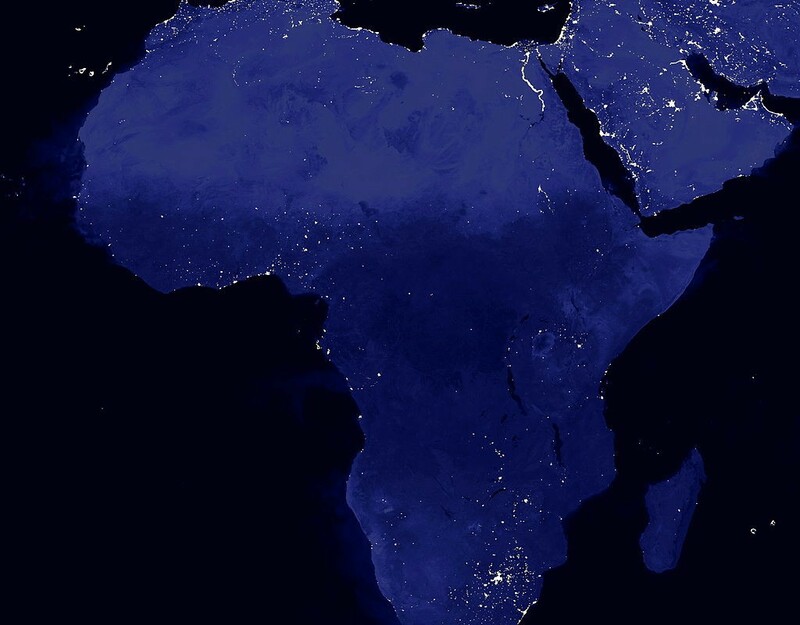 Africa was the last remaining natural habitat, and for a pittance, you could kill a little bit of nature. For your pleasure. So your adrenaline could shoot through your veins better than two mugs of coffee. So you could sleep at night. We were thriving, despite our efforts not to. This was the Africa we lived in, and we were happy. Foolishly happy.